The mission of the Parkesburg Free Library is to provide the Parkesburg Borough and surrounding communities with books, materials, and information necessary for personal growth and life long learning. We seek to guide community and business members to the information they request, including popular culture and current trends. How do I view what books are available at the Parkesburg Library? 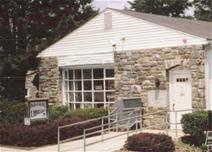 What events are available at the Parkesburg Library?